The Department of Food Engineering & Technology prepares students to cater to the ever increasing demand of various facets of food in business and industry. Nowadays food consumers are more conscious about their food and health requirements. 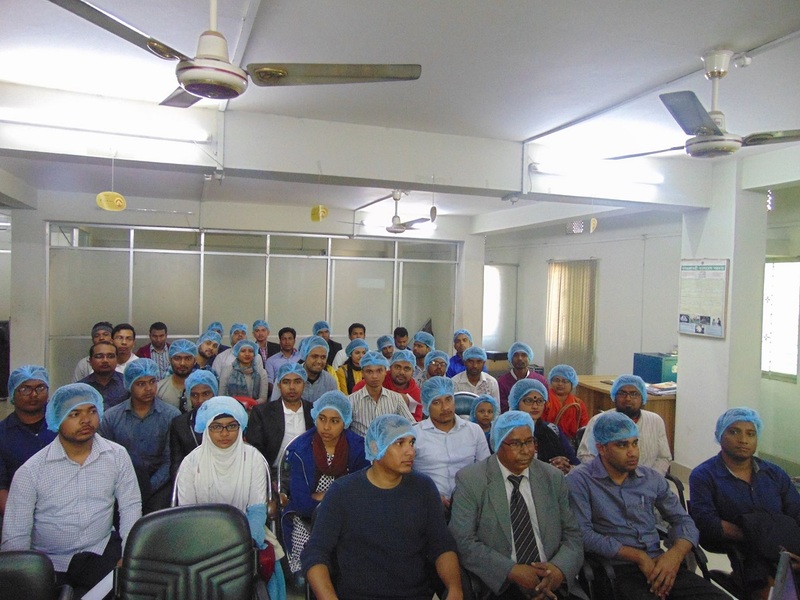 Food industries play the dual role of making food safe and good, as well as contribute to the enhancement of national economic growth by using skilled and qualified food engineers and technologists but there is lack of qualified food engineers and technologists in Bangladesh. The mission of Food Engineering & Technology department is to produce skilled and qualified manpower for ensuring the production of safe food as well as for the food business. Recent advances and development in Food Engineering & Technology has had dramatic impact on the food production, processing and packaging methods towards safer, tasty & quality foods. Career in Food Engineering & Technology is diverse and challenging. Qualification in food will help students to pursue careers in food industries as well as in research. Why Food Engineering & Technology at SUB? State University of Bangladesh is a pioneer in the field of Food Engineering & Technology (FET) among private universities. The courses of Food Engineering & Technology are designed to meet the demands of the food sector of modern world. of Food Engineering & Technology has intellectual and skilled faculty members from home and abroad for conducting the courses of Food Engineering & Technology. Besides faculty members, adjunct faculty members from reputed public universities and government institutions also take courses in B.Sc. and M.Sc. programs. The students of FET get ample opportunities to work with the teachers in research project and thesis. Food Engineering graduates of SUB have better opportunities to build carrier in different government & research organizations, and food industries. Moreover, after accomplishing their degree, students are getting scholarship from foreign universities for higher study. Government & Autonomous Organizations: Atomic Energy Commission, BCSIR, BSFIC SME Foundation, Universities and Colleges, Ministry and Livestock, Ministry of Agriculture, Polytechnic Institutes etc. Private (National and International) Companies: After graduation from SUB, students are now occupying in different key position of renowned food and beverage industries like PRAN, Akij Food & Beverage, Partex Beverage, Square Food & Beverage, Acme Food & Beverage, Transom Food & Beverage, Globe Beverage, Igloo, Polar, C.P Bangladesh, Golden Harvest, Sajib Food, Nabisco Biscuits, Olympia Biscuits, Coca-cola, Aftab Food, BRAC dairy etc. The university operates an admission system which is divided into trimesters like spring, summer and fall. Students have to fulfill the university admission requirement as per UGC guidelines. The admission form and relevant information are available either at the website or in the Admission Office of the university. Completed application form together with required documents should be submitted to the Admission Office as per guideline. For convenience of the prospective students, the admission office remains open on Friday besides normal university working days. Students are admitted to the B.Sc. in Food Engineering & Technology program after passing the admission test. Students who have passed H.S.C./’A’ level / equivalent exams having physics, chemistry, biology and mathematics and a minimum GPA 2.50 in both SSC and HSC or equivalent are qualified to appear in the admission test. Students are admitted to the B.Sc. in Food Engineering & Technology program after passing the admission test. Students who have passed Diploma (four years) in Food / Chemical/ Mechanical/ Agriculture/ Pharmacy etc. with a minimum GPA 2.50 in both SSC and Diploma are qualified to appear in the admission test. Students, who have completed B.Sc. in Food Engineering and Technology, are eligible to apply for the M.Sc. in Food Engineering and Technology. If students hold one of the degrees listed below, will be considered to meet all admission requirements and have direct access to apply to the M.Sc. in Food Engineering and Technology. B.Sc. in Chemical, Mechanical or Industrial and Production Engineering from any other UGC approved universities. B.Sc. in Food Science and Nutrition or Biotechnology and Genetic Engineering from any other UGC approved universities. If students have a Bachelor degree other than listed above, he/she must submit additional documents along with his/her application so that the department can evaluate whether or not he/she meets the admission requirements. 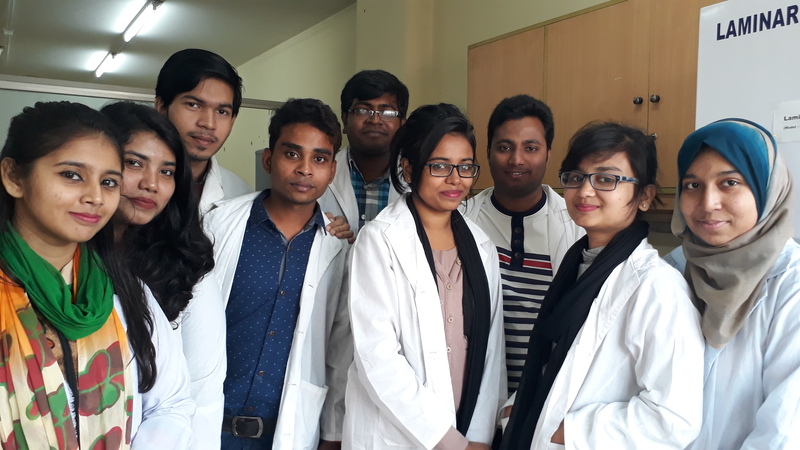 Hafizur Rahman, Khadija Habib, Shaikh Shahinur Rahman, Lubna Nasreen & Asad Ud-Daula, “Ameliorating Effect of Dietary Sesame Oil on High Erucic Acid Rapeseed Powder–Induced Changes of Blood Serum Lipids in Rats”, IOSR Journal of Environmental Science, Toxicology and Food Technology (IOSR-JESTFT), Volume (10): Issue (2) Ver. II, Feb. 2016, PP: 49-53. Rahman, M.M., Khan, F.E., Das, R. and Hoque, M.M. Antioxidant Activity and Total Phenolic Content of Some Indigenous Fruits of Sylhet, Bangladesh. International Food Research Journal (Accepted : 24 MAR 2016) . Azmain Al Faik, Sun Weiqin, Bo Jiang, Wanmeng Mu and Hinawi A. M. Hassanin, 2016 ‘Optimization of Trehalose Production from Maltose Using a Recombinant Trehalose Synthase (TreS) Enzyme from Acidiplasma sp. MBA-1’, European Academic Research; vol. 4, issue 1; pp. 687-697. Mazumdar R M ., Al Faik A., Nipa MN., Shazada NE., Das S and Bhuiyan HR, 2016‘Effects of Garcinia Pedunculata (Toikor) fruit powder and natural preservatives on the shelf life of bread’, International Journal of Current Science & Technology, vol. 4; issue no. 2; pp 124-127. Siddiqui and M. A. Alim; “Development and Sensory Evaluation of Industrial High Energy Fortified Biscuits before Implementation of Food Safety.” International Journal of Scientific & Engineering Research 6(3): 1046 – 1056, 2015.ISSN 2229-5518. Shahriar Alam, A. Siddiqui, T. Bari and S. Ahmed; “Microbiological quality assessment of industrially produced and street vended ice-cream in Dhaka city.” Bangladesh Research Publications Journal 11(1): 87 – 92, 2015.ISSN:1998-2003. Rahman, M.M., Das, R., Hoque, M.M. and Zzaman,W. 2015. Effect of freeze drying on antioxidant activity and phenolic contents of Mango (Mangifera indica). International Food Research Journal . 22(2):854-858. A. Siddiqui and L. Nasreen; “Effects of the Baking Temperature and Time on the Quality of Biscuits.”Journal of SUB 5(1): 01 – 12, 2014. ISSN: 1998-3778. S. Rahman, A. A. Siddiqui and A. Matin; “Comparative Study on Chemically and Biologically Raised Crackers Biscuits.” Journal of Environmental Science & Natural Resources 7(1): 215 – 237, 2014. ISSN: 1999-7361. Hafizur Rahman, Lubna Nasreen, Khadija Habib & Md. Nazibur Rahman, “Effects of Dietary Coconut Oil on Erucic Acid Rich Rapeseed Oil-induced Changes of Blood Serum Lipids in Rats”, Current Nutrition & Food Science, Volume (10), Issue (4), November 2014, PP: 302-307. A. Siddiqui and M. N. A. Chowdhury; “Shelf life study of yogurt product by using different concentration of Lactobacillus acidophilus.” Journal of SUB 4(2):45 – 56, 2013. ISSN: 1998-3778. 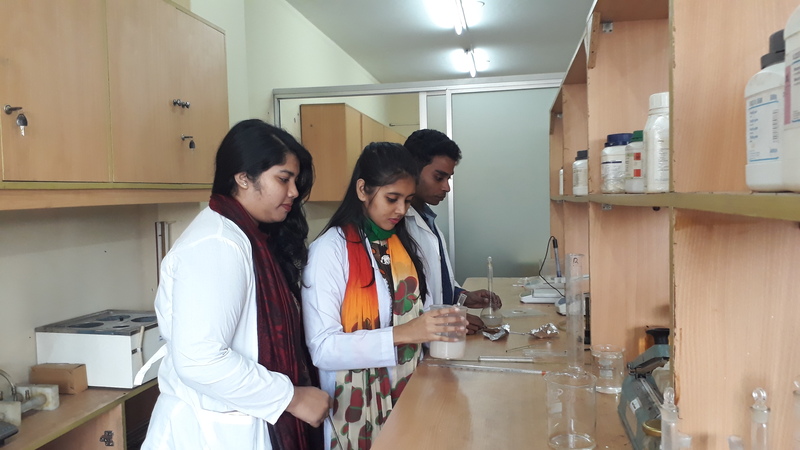 A. Siddiqui and M. N. A. Chowdhury; “Physico-Chemical & Microbiological Quality Assessment of Different Popular Brands of Wheat Flour, Available in Bangladesh.” Journal of SUB 4(2):57 – 65, 2013. ISSN: 1998-3778. A. Siddiqui, Khaliduzzaman and M.A. Siddika; “The design of HACCP plan for small scale chicken cooked sausage plant in Bangladesh” Journal of SUB 4(1):46 – 57, 2013. ISSN: 1998-3778. Asaduzzaman, Md. Emdadul Haque, Jiaur Rahman, S. M. Kamrul Hasan, M. A. Ali and Mst. Sorifa Akter and Maruf Ahmed (2013). Comparisons of physiochemical, total phenol, flavanoid content and functional properties in six cultivars of aromatic rice in Bangladesh. African Journal of Food Science, 7 (8), 198-203. N.M. Mamun-Or-Rashid, Biplab Kumar Dash, Md. 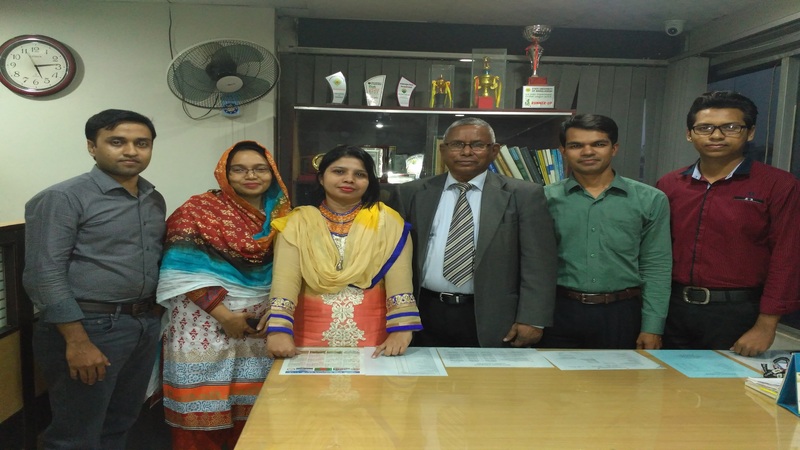 Nurul Abadin Chowdhury, Momtaz Fatima Waheed and Md. Kamruzzaman Pramanik “Exploration of Potential Baker’s Yeast from Sugarcane Juice: Optimization and Evaluation” published in Pakistan Journal of Biological Science 16(13): 617-623, 2013, ISSN 1028-8880. A. Siddiqui, m. H. R. Bhuiyan and M. Easdani; “Ginger (Zingiber officinale) preserve and candy development.” Bangladesh Research Publications Journal 7(3): 283 – 290, 2012. ISSN:1998-2003. A. Siddiqui and Khaliduzzaman; “Studies on the preparation of green mango chewing gum.” Bangladesh Research Publications Journal 7(1): 01 – 04, 2012. ISSN:1998-2003. A. Siddiqui, M. Easdani, Khaliduzzaman and M. H. R. Bhuiyan; “Effect of Cryopreservative on quality and shelf life of frozen beef.” Bangladesh Research Publications Journal 7(2): 175 – 181, 2012. ISSN:1998-2003. A. Siddiqui and M. Easdani; “Development of Shelf Stable Strawberry Flavoured Milk.”Journal of SUB Journal of Public Health 5(2):32 – 37, 2012. ISSN 1998 – 6076. T. Hasan, A. Begum, A. A. Siddiqui and Khaliduzzaman; “Comparison on child caring and feeding practices between mothers working in a tobacco industry versus mothers of nearby community.” Bangladesh Research Publications Journal 6(4): 434 – 439, 2012. ISSN:1998-2003. K. M. S. Inam, M. M. Hossain, A. A. Siddiqui and M. Easdani; “Studies on the development of mixed fruit marmalade” Journal of Environmental Science & Natural Resources 5(2):315 – 322, 2012. ISSN: 1999-7361. Khaliduzzaman, A. Siddiqui, M. M. Islam, M. Easdani and M.H.R. 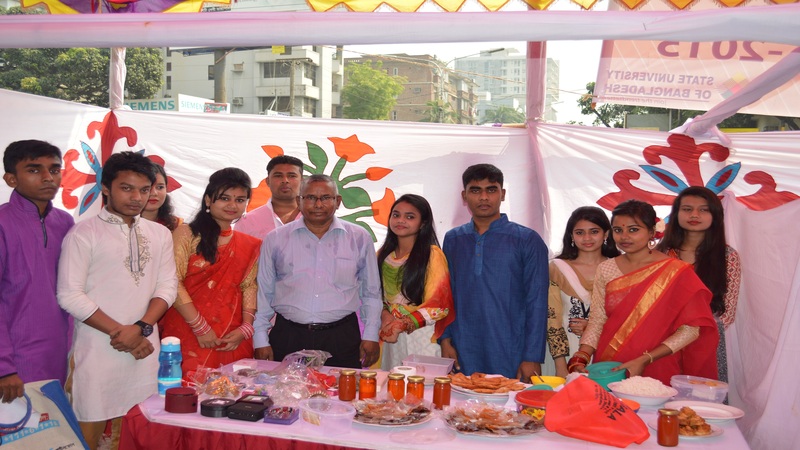 Bhuiyan; “Effect of Honey on Freezing Point and acceptability of Ice Cream” Bangladesh Research Publications Journal 7(4): 355 – 360, 2012. ISSN:1998-2003.